Happy New Year's to all!! I hope everyone is having a great, great day and has an even better start to their NEW YEAR! I will be staying home and scrapbooking tonight. Such is life with a 7 week old! I like staying home on new years eve though so I don't mind a bit. And this year I may even stay up until midnight because naughty little Isabel hasn't been going to sleep until very, very late the last couple of nights! Last year I posted my ten favorite layouts of the year and it was so much fun to go back and look through my layouts to pick the ten. Not to mention incredibly hard too! So here it is again this year- my ten favorite in no particular order. Have a GREAT new year!!! the awesome sketch by Bo Bunny Design Team member Agnieszka! One sketch and so many possibilities! Each and every design team members card looks different. I used the sketch as inspiration for my Happy Birthday card below. I used the BO BUNNY Winter Joy collection. Who says winter paper needs a winter theme? It's perfect for birthdays too. You can play along with the challenge too by uploading your take on the sketch on this BLOG POST. A Nikki Sivils sneak peak!! Hi all, I hope everyone had a great holiday with friends and family! My Christmas was the best ever and we celebrated Frances's second birthday too. Our house looks like a toy store, but Frances is enjoying all her new stuff so it's ok! She is just the cutest ever too. The things she says have us laughing all the time. Whenever I yawn, cough or sigh, she says "Mommy you ok?" or "What's wrong Mommy?" It is seriously the cutest! And the other day my husband was telling her not to do something (can't remember what because it seems like we are telling her not to do a lot of stuff lately) and she said "Daddy what's your problem?" I couldn't help laughing! Ok just one more- when my dog Kody comes in from the backyard she says "Kody wipe your paws!" Ha ha ha ha! I am definitely going to get these Francesism's on a page before I forget them! So now for the Nikki Sivils peak!!! I have been working with her new lines for CHA and boy, oh, boy are they CA-UTE! So if you want to see a peak of one (and why wouldn't you???) 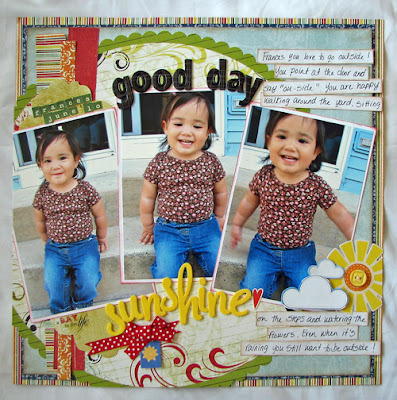 you can check out a layout I made with her line "Summer" on her very first newsletter. Just CLICK HERE. My layout is on the last page. And please sign up for her newsletter too while you are there! And in other Nikki Sivils news- This month the design team teamed up with Creative Charms. We were all given some embellishments to work with. Now I just started working with mine so there will be more projects to come! I created this Valentine's Day card using Nikki's Valentine's line "Sugar Cookie". 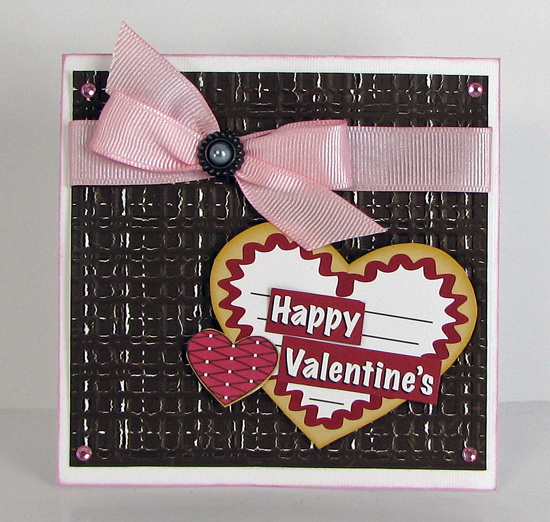 I embossed the brown sheet of paper from the 6x6 mini pad to give it the white lines and texture. Then I cut out some hearts and my sentiment from the 12x12 sheet of cut ups. And to finish it off I used the Creative Charms antique brad for the center of my bow. Only a few more days!!! Until my Frances's birthday that is!!! I have always liked Christmas, not really loved it, just liked it. But since my little Frances was born on Christmas Day two years ago the holiday now has a special place in my heart. I feel incredibly bad that her birthday falls on Christmas so I have her party the weekend before and tell all the guests that they have to wrap her presents in birthday paper, not Christmas paper! It may sound bossy, but I don't my little girl to be cheated out of a real birthday party. We had her party Saturday and it was so much fun! I have some pictures, but not on my this computer (as I am still without a computer and am borrowing this one! ), but I will post them soon. Happy Holidays to each and everyone one of you and I hope you enjoy time with your family and friends. 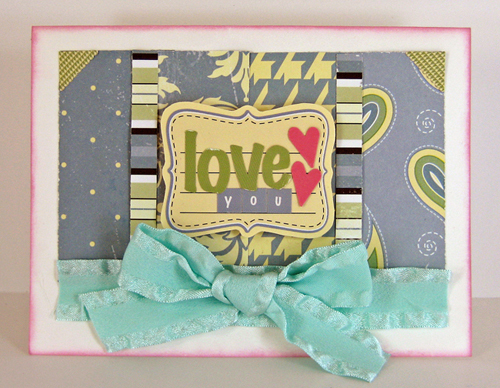 I will leave you with this card I created for the Bo Bunny blog card challenge. The challenge is to use a Christmas decoration on a card. I used these white holly berries that I bought at Hobby Lobby for .99 cents. They come in a big sprig, but you can cut off what you need and adhere them with strong liquid adhesive. I love how they look on cards, gift bags and tags. I used the Bo Bunny Winter Joy Collection. And you still have time to participate in the challenge too! Just go to this BLOG POST on the Bo Bunny blog to submit your entry. Good Luck! Hi all, finally got my hands on a computer again! And today is a good day because it is the day my projects are posted on the Nikki Sivils blog! There are lots of other great projects on there today too so head on over and check them out! Well I have not had a computer since before Thanksgiving so I know this is a little late, but I haven't been able to get online. Life with Frances and Isabel has been keeping me busy though so I haven't missed my computer that much (and I have an Iphone for email). Now that we have settled into somewhat of a routine and Isabel takes a long nap in the afternoon I have found that I miss my laptop! My husband has promised me a new one for Christmas though so it shouldn't be long before I am able to update regularly again. Since I haven't been able to get online I never got a chance to share my thankful Bo Bunny layout. 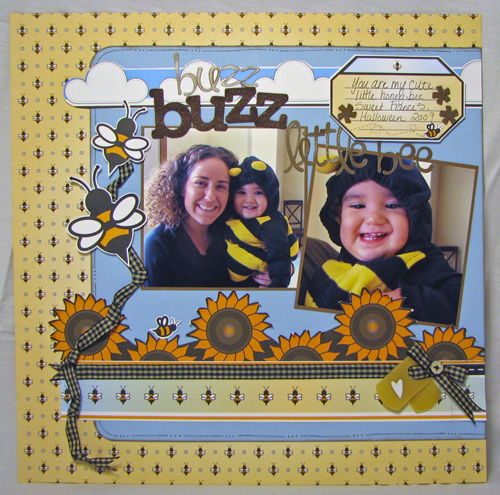 I created this layout for the Thanksgiving post on the Bo Bunny blog. We were asked to create a thankful project. 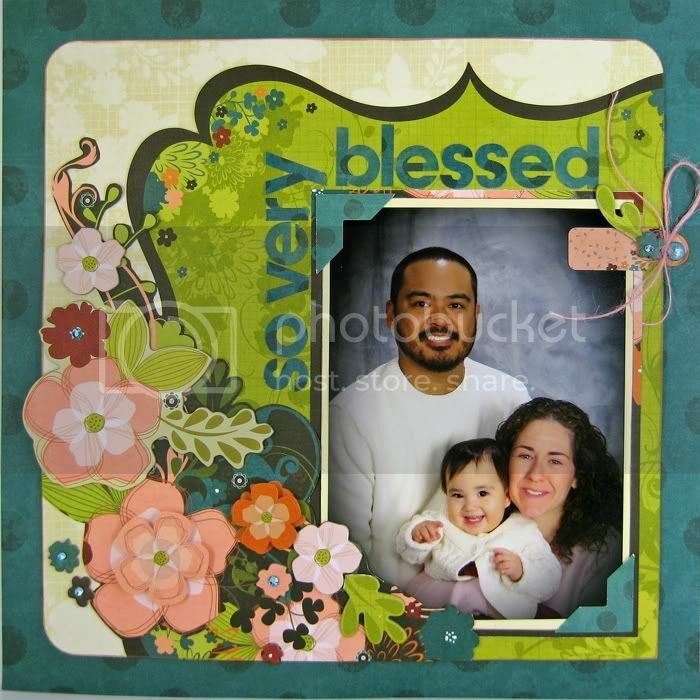 The think I am most thankful for is my family so I created this layout. The picture is from our Christmas photo shoot last year at JC Penny. Frances had an ear ache and was not cooperating at all! This was the best picture out of the hundred she took. So at least we had one good picture for our effort! I just wrote about Thanksgiving and now I am on to Christmas! Boy time goes by quickly! I have been working on some Christmas project for the Bo Bunny blog this month. 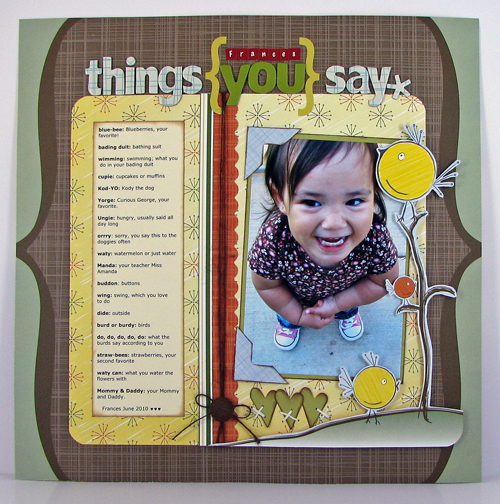 Everyone asks how I have time to scrapbook with newborn. 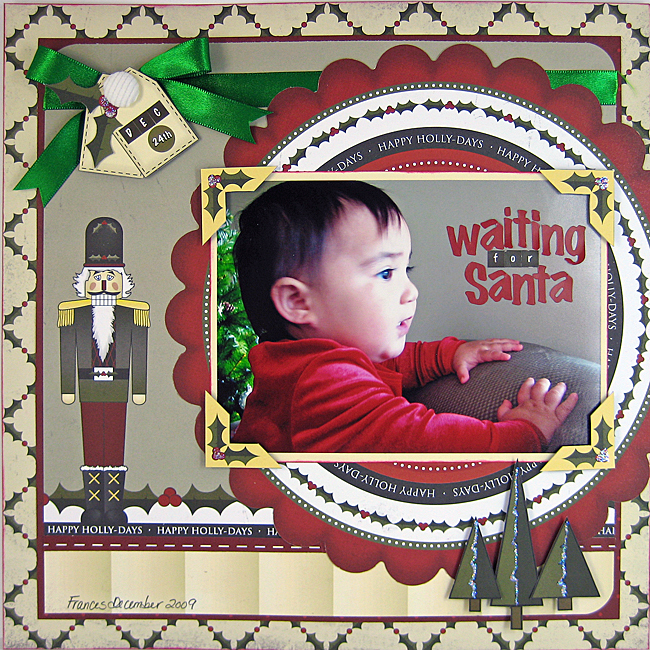 Well.... my little Frances who will be two on Christmas day loves to scrapbook. She calls it scraping book. 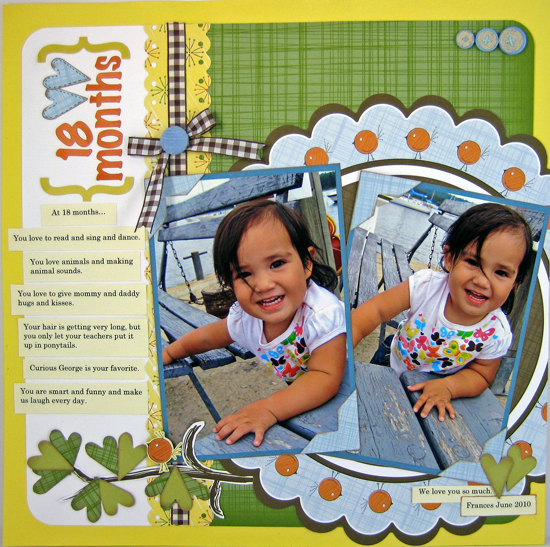 So we have been spending some Mommy-daughter time together scraping book (as she would say). As soon as I get out my bag she goes to the table and gets excited. 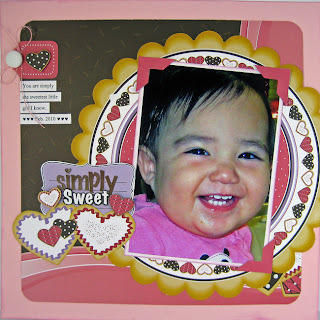 She has a notebook that is her scraping book and I give her my left over paper scraps, stickers and some markers. She tapes and draws in her book while I scrapbook. Of course this way takes me about three times longer to complete a project, but it is fun. 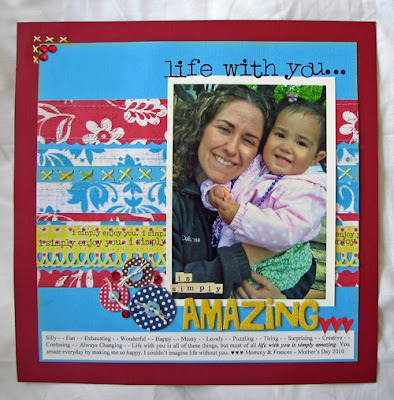 So here are the projects I have created with my little Frances. 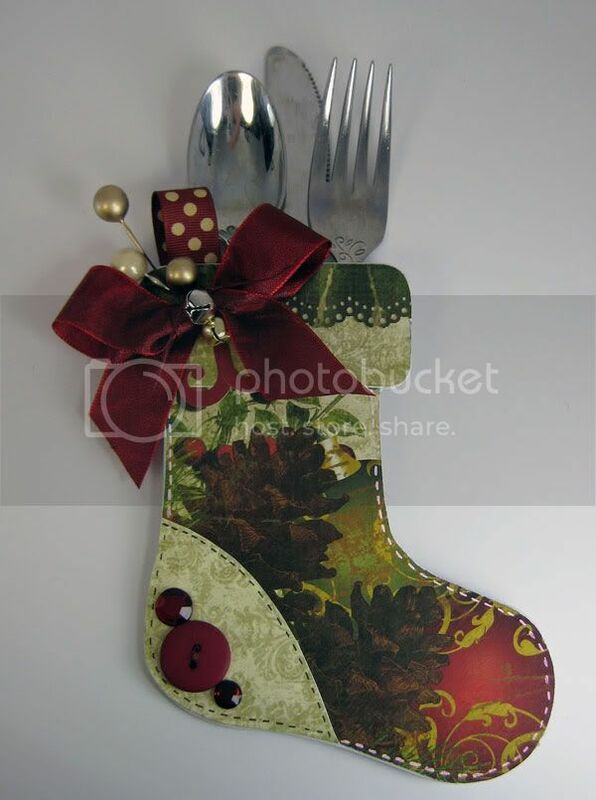 First up is a little stocking to use as a place setting or card at your dinner table. 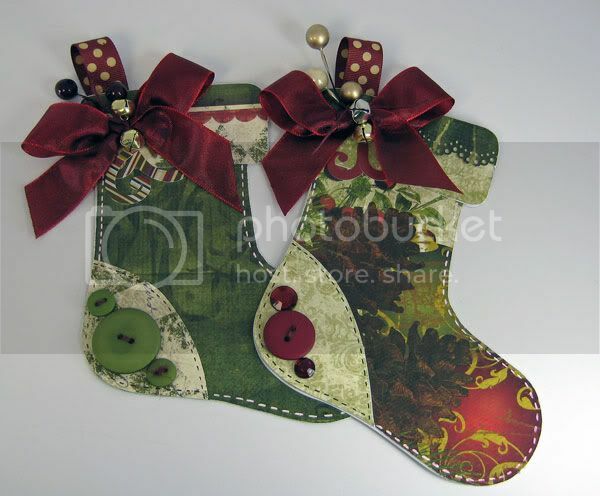 I used a stocking templates that I bought in a package at Michaels for a $1.00. I used one for my template and Frances used the rest to draw on :). I traced the template onto some Noel paper, cut out and adhered around the edges to form a pocket. Then I decorated it with more Noel paper, Noel stickers and some left over Christmas decorations. 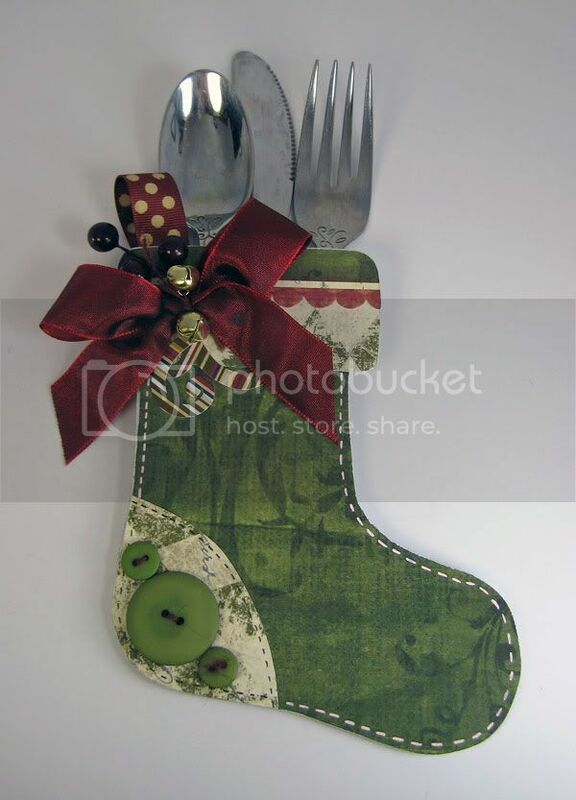 I adhered the stockings with strong liquid adhesive so I would be able to put the silverware inside. You can add a name to each to use as a place setting on each plate or stuff a little treat inside for guests if you don't want to use them for silverware. And noticed I put the fork on the wrong side after I took picture! I guess I don't set the table enough! At my house I just throw a bunch of silverware on the kitchen island and it is help yourself. On both of my cards I used the Bo Bunny Winter Joy collection. 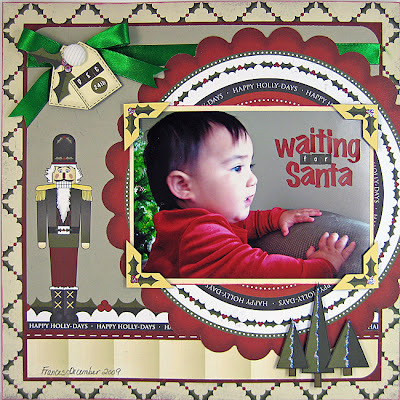 It is so fun to use these non-traditional colors for Christmas cards! and the Noel stamps to stamp my sentiment. On this card I used the Winter Joy stamps to stamp my trees. 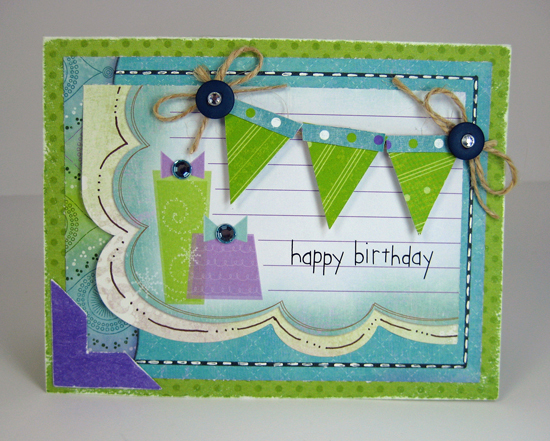 I stamped the green trees first and then the blue trees overlapping them. Please check out the Bo Bunny blog for the posts of these projects as the rest of the DT's work is just fabulous! 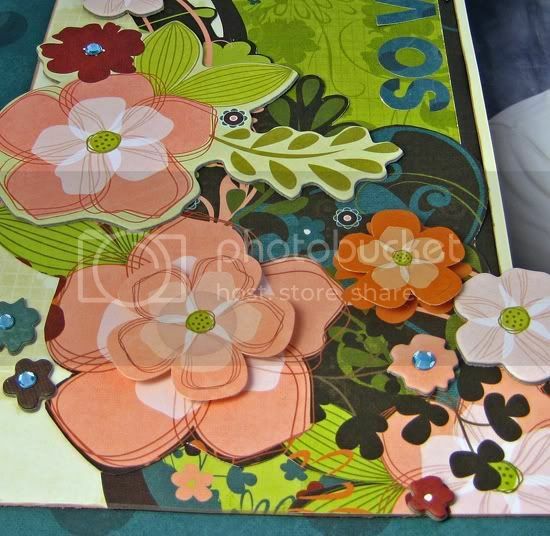 I am a wife, mom, teacher and paper crafter. 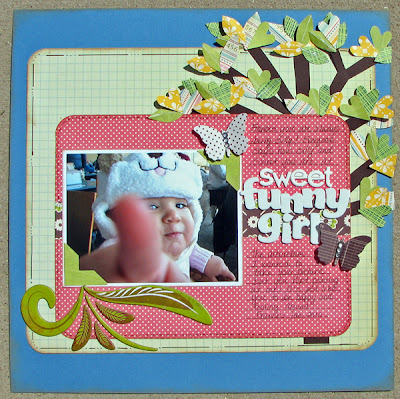 Bo Bunny + Xyron = a blog swap! 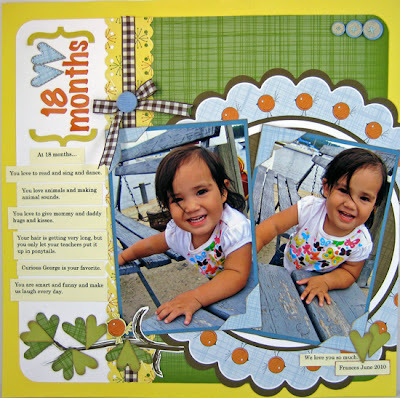 World Card Making Day Hop- Bo Bunny Style! 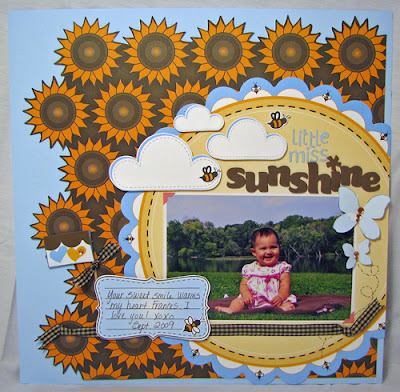 The Ribbon Carousel Nikki Sivils Blog Hop!